We carry only the finest furniture lines that believe in building furniture with the care and quality you and your family deserve. All made in America, the featured lines below are recommended based on our personal relationships and excellent services they provide. Each line has its own beautiful selection of fabrics and finishes for endless possibilities. 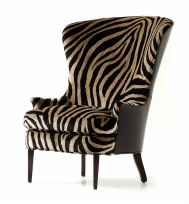 Take advantage of our free personal selection service to customize your furnishings in the perfect fabric and finish. NO high pressure sales here - come in for a relaxing designer experience. In the trade? Sebek Interiors offers exclusive trade pricing and services to designers. Call for details. 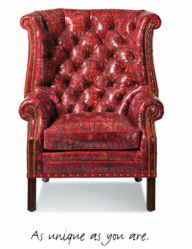 "Fine furniture of uncompromising quality that endures for generations"
As one of the leading leather manufactures in the industry, Hancock & Moore is a perfect addition to the Sebek offering for clients with media room and motion furniture needs. "For the love of chairs", is where the Jessica Charles story begins. Tailored to express who you are, each piece is handmade by skilled craftsmen in North Carolina. Judy and Darrell have toured their High Point facility and can testify to the craftsmanship that goes into each piece. The "Garbo Chair" is one of their signature styles. They're also well known for their quality rocking and gliding chairs. View their timeless pieces at Jessica Charles online. "Wallpaper and Fabrics since 1886"
Our longstanding wallpaper line introduced their new trendy furniture at the 2013 Spring Market. The up to date color palette and distinctive patterns beautifully coordinates with their latest wallpaper collections. We are excited to add this fresh new look built by a well established furniture builder of North Carolina. 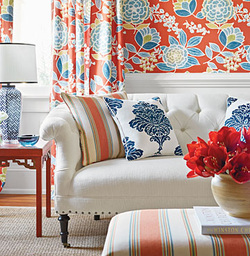 ​You can view the new introductions in their online Thibaut catalog.